This article tries to answer the most frequently asked questions by businesses about Deca Core dedicated servers. FAQ#1 Deca Core Dedicated Servers – What is it? These servers come with processors having ten cores. The presence of 10 cores in the processor helps this server to simultaneously operate 10 different processes. These processors are most popular with High Performance Computing or HPC. Here, the workloads are so huge, multiple cores can take advantage of the available ten cores in the Deca Core processor. Websites having extremely high traffic can take advantage of these kinds of Dedicated servers. Other areas that are known to have taken advantage of these multiple core processors include AI (Artificial Intelligence), machine learning, database processing, and many more. Deca means 10 (ten) or Roman numeral ten (X). A Decacore processor comes with ten physical CPU cores on a single silicon piece. The term Deca is most used in the mobile industry. This kind of Decacore processor was first announced by Mediatek 1.5 years back in the mobile industry. This processor was named Helios X20. It was later succeeded by processors such as Helios X25 and Helios X30. Helios X20 had 10 cores in them. There were 8 cortex A53 cores. They are divided into two clusters of four. Besides these 8 processors, there are two A72 cores, which are essentially high performance ones. However, it will be misleading to think that this was the first of its kind in the industry as a whole. The 10-cores processor was first introduced for Personal Computers that were manufactured by Intel. The current one is named i7 6950x. The largest Xeon Intel that is available is Xeon E5 2699 V5, which comes with 22 cores. AMD offers the largest cores packing. It is Ryzen 4700, which is essentially Naples server core. This processor features 32 cores. FAQ #2 Deca Core Dedicated Servers – How do they Work? Dedicated servers that come with Deca Core processors provide users with greater performance than that of systems with lesser number of cores. This is simply because more cores in a processor can process more instructions side-by-side. When 10 cores run on a single chip, efficiency gets increased. This also reduces redundancy. Deca Core processors in a dedicated server are extremely well-threaded. This helps in larger cache as well as higher capacity for memory. It must be kept in mind that using deca core processors will not increase the performance of old legacy applications as well as programs. This is because of the simple fact that the programs and applications that were written before the advent of multi-core servers don’t have the system’s parallel instruction efficiencies. That’s the reason why many companies are currently upgrading their internal systems. The cost of development and upgrade is high. However, the efficiency and speed they receive from upgrading their system justifies the cost of upgrade or development. Another thing that you should keep in mind is that the Deca Core processors need not be 10 times faster than their single core counterparts. Efficiency, memory capacity, and other related aspects improve significantly. However, it doesn’t mean that the performance will increase by as many times as the number of cores. FAQ #3 What are the Benefits Associated with the Deca Core Dedicated Servers? There are wide array of advantages associated with the Deca Core dedicated servers. Some of the most important ones include reduction in latency, improvement in performance, decreased generation of heat, maximization of bandwidth as well as the primary memory, and decrease in consumption of power. Deca Core dedicated servers are better suited with the system architecture of the modern world. As these processors are highly effective and fast, they are used in high performance facilities such as cluster arrangements as well as private clouds. The ability of processing instructions in parallel makes them the perfect choice for the creation of virtual machines. Deca core processors are extremely valued by the gamers. This is because they need to multitask on a very rapid manner. In fact, those users who have to multitask on a regular basis can also choose Deca Core dedicated servers. A leading data center company in India, Go4Hosting, has become the first ever hosting company to provide its customers with a massive 28 Core Duo Tetradecagon Server. In addition to this, they have also announced launch of their wide array of server services. The entire bouquet of servers includes Dual Deca Core Servers, Dodeca Core Servers, and Dual Octa Core Servers. They had launched these server services back in September 2016, becoming the first ever hosting company in India to provide its corporate and other business clients with these kinds of services. This entry was posted in Dedicated Server and tagged data center India, Dedicated Servers, private clouds on February 5, 2019 by admin. When businesses are expanding significantly, data transfer costs can become exceptionally high. This is all the more so when the web hosting service provider charges you heavy fees for using up more bandwidth than what has been given to you. So, the bandwidth overage fees keep accumulating and this is extremely distressing for the server owners. The best way to prevent this from happening is to go for unmetered dedicated servers where there will be no such charges for data transfer uses. Why are unmetered servers beneficial? The hosting providers which offer these unmetered servers will not be charging you based on how much bandwidth you have used. In other words, you will have a pay up a flat monthly fee. 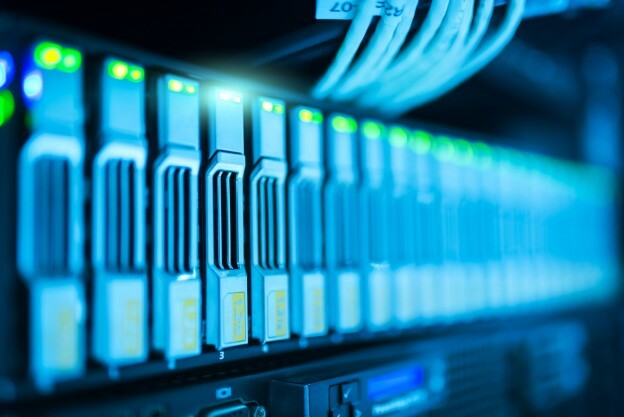 There are two kinds of unmetered dedicated servers, namely, one where a shared connection is provided and the other which provides a dedicated connection. What are the types of unmetered servers? When you have a shared hosting environment the host will offer a shared connection where many servers will be sharing one connection. So, the speed which such a connection can offer is going to be divided amongst many servers. The speed which an individual client enterprise can get will also be dependent on the number of servers which are sharing this connection. This is undoubtedly a cost-effective solution but there will obviously be limits on the bandwidth available. For your server’s network connections the unmetered server makes you pay for the uplink speed and not for data transfer. So, you will get many benefits from unmetered servers like negligible downtimes, better security and improved cost-efficiency. When you have access to higher bandwidth it implies faster downloading speeds for your site. This is why dedicated unmetered servers will be able to meet the demands of any bandwidth-hungry application. Which businesses can benefit from unmetered dedicated servers? When you have a website which is continuously growing you must buy an unmetered dedicated server that is equipped to meet dynamic business needs. When you have identified a web host to offer you such a server you will then need to determine the amount of bandwidth you are going to need. So, when you finally rent such a dedicated server, you will only have to pay for the Internet connection. Unmetered dedicated servers are also excellent solutions for high traffic sites and blogs. This will ensure that you do not get overburdened with bandwidth overage charges. 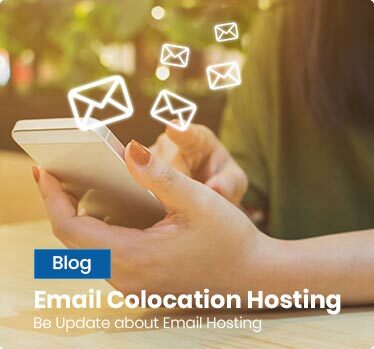 However, before you sign up for the unmetered server, you must decide between a shared and dedicated connection. To do so, you have to be well-versed with the differences between the two types and the pros and cons of each in order to make a well-informed decision. Unmetered servers are also recommended for startups. This is because when you are not aware of how much traffic you are likely to get, your site can face billing trouble. When you have a flat fee instead every month and a predictable budget you will not have to worry about unprecedented costs and potential overage fees. When you get connectivity to server, you will be provided with a service which allots you a certain amount of data for each month. The unmetered server will make you pay only for the uplink speed and not data transfer. So, you can actually access a high amount of bandwidth and not exhaust your funds at the same time. So, unmetered servers will charge clients only for bandwidth they have bought. This means that he provider is going to monitor the account to make sure you have not exceeded bandwidth limits and you do not incur any overcharge. In short, you are going to be protected from being charged for extra bandwidth than what you have signed up for in the contract. When you sign up for dedicated hosting you can choose from multiple choices. So, whether it is the kind of storage you want or the amount of bandwidth you need, there will be many factors to consider. It has been seen that unmetered servers cater best to website owners and game site owners also whose bandwidth demands are not fixed. When they choose unmetered dedicated server hosting they get to save money and even enjoy many more advantages in the process. What are the key benefits of using unmetered servers? The biggest benefit no doubt is that of flexibility. You will never have to worry about using up excess bandwidth or getting overcharged. You have therefore the flexibility to consume as much bandwidth as you require in whichever capacity you want. For example, when you run a blog you will not have to bother about cutting back on files that you are hosting or apps which you are using simply because of bandwidth concerns. When you are more focused on staying within bandwidth limits you cannot optimize your site functionalities. This problem is not there with unmetered servers. So, it is ideal for blogs, ecommerce sites and gaming websites. You are free to deploy any apps you need for ensuring a smoother performance. You will therefore never have to worry about site performance getting affected due to bandwidth constraints. When you use unmetered servers you can enjoy peace of mind and additional security for your website. This is because you do not have to decide between security updates and security add-ons depending on the amount of bandwidth at hand. You are free to install as many security functions and features as you like without worrying about bandwidth limitations. Finally, you get to save a lot of money. When you end up using more data transfer/bandwidth than what you have actually paid for by hosting multiple websites, you can run into hefty overcharge fees. In this situation, unmetered servers are always a safer choice. This entry was posted in Dedicated Server and tagged Dedicated Servers, Unmetered Dedicated Servers on February 1, 2019 by admin. Dedicated servers provide unlimited scope for customization, speed, security, and control to help gamers focus on the pleasure of gaming rather than grappling with connectivity issues. Significance of a dedicated server for gaming is best highlighted by glitches or jumps during a game-play. This is especially true in case of multi-players games such as call of duty that heavily rely on seamless connectivity. It is hardly any matter of surprise why renowned game hosts such as MineCraft or WarCraft consider using dedicated servers for hosting online gaming communities irrespective of their sizes. Whether you are a small gaming party or an extensive group of gaming enthusiasts, dedicated servers deliver unmatched connectivity for an enhanced gaming experience. Dedicated servers can also be used as host servers for operating multiplayer games to facilitate a group of local friends for a hassle-free gaming experience. Unexpected server crash is the commonest and the most serious roadblock for any gaming activity. Run of the mill servers such as shared servers can instantly annihilate a budding community of gamers whenever there is a traffic surge. This calls for reliable dedicated server hosting services so that the server resources are geared to take on traffic challenges. If you are planning to deliver game services to a large number of users that can run into millions, then dedicated servers are essential to make sure that you are able to build a loyal customer base. Ordinary servers can result into frequent downtimes or connectivity issues and may lead to erosion a of valuable customer base. In order to play an online game, one must have a support of a hosted server that is specially built for the purpose of gaming. There is no substitute to a dedicated server if you feel that your clients should experience a gratifying and uninterrupted gaming experience. Let us understand the importance of a dedicated server from the perspective of a online gaming entrepreneur. In order to facilitate players of online games that involve role playing, a dedicated server must be chosen for uploading the games. In view of attracting more and more players one must make sure that the resources are tuned to handle challenges such as traffic spikes and this is only possible in a dedicated server hosting environment. Dedicated servers are designed to perform with help of dedicated software as well as enterprise grade hardware for flawless performance even under challenging situations. Usually, reputed hosts ensure that dedicated servers for gaming are positioned within top tiered data centers for reliability of performance and uptime. Success of an online gaming venture not only depends upon choice of a server but also on the selection of a right dedicated server hosting provider. If you are in touch with operators or designers of some unique sites, then they can certainly help you find the hosting service providers to support your gaming ventures. Ability to understand complexities of gaming is an entirely different skill than handling dedicated servers in the domain of gaming. Unless you have a sound knowledge of programming and handling of backend workloads of dedicated server ecosystem, it is futile to shoulder the extremely technical responsibility of operating high end server resources. This calls for managed dedicated server hosting, which empowers users to enjoy freedom from managing technical complexities of running dedicated servers. Providers of managed dedicated server hosting look after the entire gamut of tasks such as, OS upgrading, security patching, and instant resolution of technical glitches in addition to performing the setup, configuration, operation and maintenance of the servers. Most of the requirements of gaming server are focused on the higher level of performance since the new games rely on low latency and high availability of resources. Operators of online games are also expected to deliver seamless security and reliability apart from the above mentioned attributes. Slow loading sites can destroy the joy of gaming due to sudden disappearance of gaming characters and subsequent loss of the entire game. Low latency site fir gaming facilitates real time responses and enhances overall gaming experience. Although, there are other options including Virtual Private Servers or cloud servers, the importance of dedicated servers for gaming activities remains unchallenged. Dedicated server continues to be the most reliable choice for uploading and operating online games that are having demanding features. You can elevate the performance of your gaming venture to unmatched level by adopting a dedicated server environment. Dedicated server hosting services from experienced providers are reputed to enhance server performance in comparison with any other type of hosting. There has been a paradigm shift in the way online games are being played by new generation gamers. These changes can be perceived in terms of increased demands of accessibility, availability, and number of concurrent players. Modern players need to access online games from any corner across the globe and inclusion of high density graphics and cutting edge features that support multi-player games underline need for a rock-solid support of dedicated game servers. This entry was posted in Dedicated Server and tagged dedicated server, dedicated server hosting, Dedicated Servers on November 2, 2017 by Sunil Yadav. Setting up a large infrastructure for supporting sensitive and resource intensive website operation a mid sized or large organization can be an overwhelming task. The infrastructure must be well equipped with a voluminous storage capacity and unrestricted bandwidth availability for seamless online activities of website. Majority of startup companies need to struggle while looking for options for hosting their new web ventures. 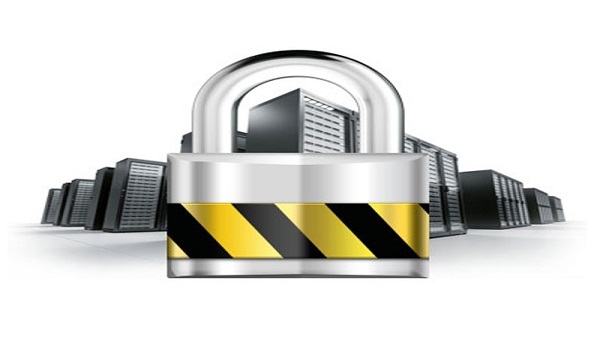 This is more prominently experienced by organizations with significantly greater security and storage needs. It is for the same reason why the option of third party hosting is sought after by these enterprises. The most ideal hosting plan offered to the mid and large sized organizations is found to be a dedicated server hosting plan, due to its remarkable controls and resources. Majority of the clients of dedicated hosting prefer to go for fully managed dedicated server hosting due to its useful attributes. Managed dedicated server hosting is a perfect way to ensure excellent uptime without wasting time of in-house IT talent on executing run of the mill assignments such as maintenance and monitoring. Moreover, in-house management of server infrastructure is governed by prohibitive costs and is an extremely time consuming affair. By adopting dedicated server hosting plans, your organization can look forward to saving valuable man-hours which can be channelized to accomplish more productive tasks and development projects. It is observed that majority of enterprises that choose web hosting plans for dedicated server hosting do so for assured reliability. Fully managed dedicated server is backed by professional technical teams for enterprise grade website management for excellent online availability. All websites with sound hosting support of dedicated servers are sure to outperform their competition that has to struggle with limited resources offered by shared or VPS hosting. Every business dreams to grow bigger in terms of revenue, customer base, and number of visitors to its website. Unless you have a resource rich website, it is difficult to cope up with traffic growth with frequent spikes due to marketing campaigns and seasonal factors. This can only be achieved by selecting a dedicated server hosting plan. No matter what types of applications you need to run on the websites, a dedicated server has you covered. 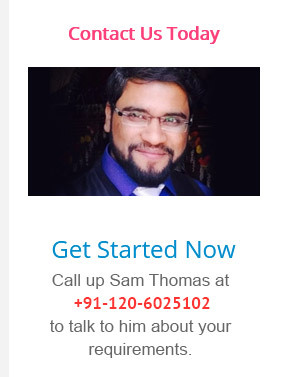 Similarly, your website is always assured of premium bandwidth support. This is the most attractive attribute of dedicated hosting. In fact, almost all mission critical websites are hosted on dedicated servers that guarantee unparalleled security. Users are free to install individual security software such as anti-malware programs or firewalls. Dedicated servers enable unlimited administrative access for installation of such applications. It also facilitates easy updates and security patching for seamless protection and prevents any unauthorized intrusion that could prove to be harmful to the website’s vital data. In addition to providing a guarantee that all mission sensitive business operations are executed without any hassles, dedicated servers also help install as well as configure important software programs that further support these functions of businesses. Since a dedicated server can be programmed to focus on a specific task, you need not be concerned about any downtime or lag of business processes. Secondly, the maintenance costs of dedicated servers are considerably on a lower side in contrast to a Virtual Private Server or a shared server hosting environment. Thanks to the highly qualified team of dedicated software professionals, your dedicated server is maintained for its flawless performance without any downtime even during the maintenance activities. Leading providers of dedicated hosting in India are reputed for offering useful services of anti-spam filters, caching software, and unique IP addresses for seamless business operations. The level of operational flexibility offered by a dedicated server cannot be matched with any other type of hosting plan. There is no need to support your server operations by installing specific applications that are necessary in a shared hosting ecosystem. Since a dedicated server is not required to share resources with any other website than yours, you have unlimited flexibility of using its entire resources for installing and running applications of your choice. Users of dedicated server hosting are free to support their unique operations by installing operating systems of their choice such as Linux or Windows operating system. Most of the businesses that prefer dedicated server hosting experience elevated website performance without any latency and other critical issues that may impact user-experience. 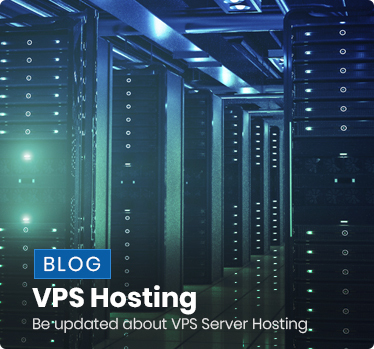 The wide spectrum of resources offered to users by dedicated servers can be attributed to the seamless website performance even during the period of traffic spikes. Dedicated server hosting is regarded as the most feature-rich hosting category for resource intensive websites. No wonder, websites of educational and financial institutions such as banks or government and healthcare websites are found to be supported by dedicated hosting. Its unlimited administrative controls, operational flexibility, and scalability are some of the most attractive features for businesses that are on the fast track of growth. This entry was posted in Dedicated Server and tagged dedicated hosting india, dedicated server, dedicated server hosting, Dedicated Servers, Fully managed dedicated server on October 4, 2017 by Anees Malik.